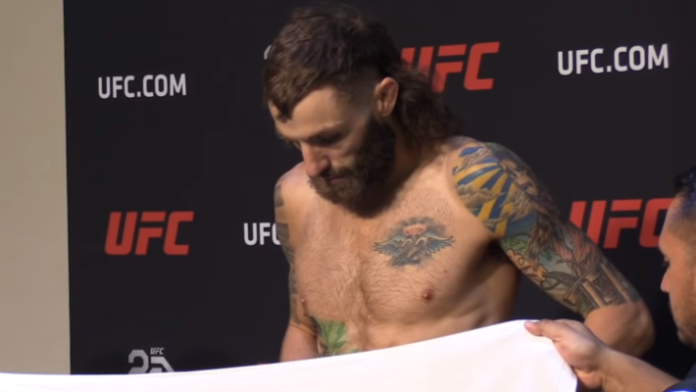 A former opponent of Michael Chiesa is calling out “The Maverick” over his statement on failing to make weight ahead of UFC 226. Tonight (July 7), Chiesa will go one-on-one with former UFC lightweight champion Anthony Pettis. The two will collide inside the T-Mobile Arena in Las Vegas, Nevada. The lightweight tilt will be featured on UFC 226’s main card. “I fought Chiesa two times as an amateur. Our first fight was June 20th, 2008 at Sportfight XXIII: Heated Rivals, and was shown live on HDNet Fights. Michael was 1-0 at the time. MMA News has reached out to Chiesa’s team for comment.